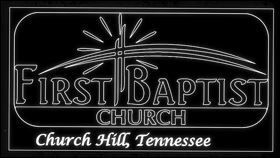 Prayer Ministry – First Baptist Church – Church Hill, Tn. Prayer Action Team – coordinates church prayer efforts/events. Team meets monthly to plan. Prayer/Share Meetings are on Wednesday evening each week at 6:30 PM in Room# 201. Prayer Chains are activated by individual Sunday School Classes. Week of Prayer emphasis for Missionaries.